If You want to participate at one of our courses, please fill out the registration form below. We will get back to You soon. - All scheduled courses are in the Calendar. 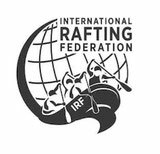 - If You have minimum of 5 candidate You can Organize an IRF program yourself, click here for further info. - Find specific information about IRF Workshops here. Please fill out the form so we can contact you.